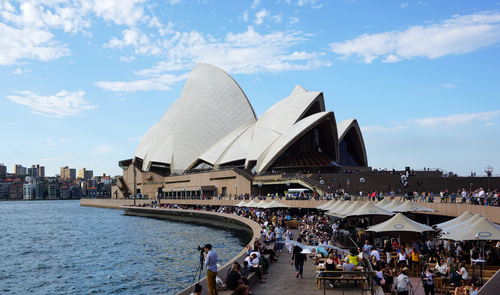 New South Wales in Australia has doubled property taxes for foreign real estate buyers. Of course this violates international law, but governments are broke and they are doing their best to destroy the world economy from every which direction. The politicians are responding to Australians who see foreign buyers of property causing a real estate boom. Much like Britain who raised taxes to stop the real estate boom in London, the greatest problem with all these laws is rather simple; ALL LAWS ENACTED should automatically expire within 4 years. The patchwork of draconian laws that Australia has been installing will isolate the economy and do far more harm than anyone suspects. The Japanese bought all sorts of property in the USA during their boom days. They then turned and sold it at a loss. Until now, foreigners had to pay a 4% surcharge when buying properties in New South Wales. The surcharge has now been increased to 8%. New South Wales has become the second state in Australia to increase taxes for foreigners. Victoria announced a similar measure last year. The Australian government has also announced fines on foreign buyers who keep their homes unoccupied for more than six months in a year. The government claims that foreigners leave their properties vacant, which adds to housing shortage. This is clearly more of a racist view since the majority of foreigners buying properties in Australia are Chinese investors. They have accounted for two-thirds of a total A$47.3 billion invested in the property market in the 2016 financial year. The government also plans to impose a 50% limit on foreign ownership in new developments, which the government sees as a way of ‘increasing the housing stock for Australian purchasers’. Yes, but what they are really doing is creating a real estate crash. Then Australians who have mortgages will be hurt, whereas the foreign buyers tend to pay cash.